X-Ray imaging is one of the many services we offer at STAT MED Urgent Care, a physician-led network of walk-in clinics serving families in Lafayette, Concord, Livermore, Pleasant Hill, Walnut Creekand other neighborhoods throughout the East Bay Area of San Francisco, California. Our team includes experienced professionals with backgrounds in emergency medicine, which means we know how to provide a high level of care in an efficient manner. 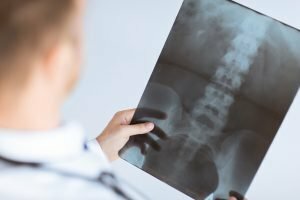 STAT MED Urgent Care is certified by the Urgent Care Association of America and carefully follows industry best practices to ensure safe and precise X-ray imaging services at our clinics. As our patient, you can be assured that you will receive expert care from knowledgeable and friendly professionals who will walk you through every step of the diagnostic and treatment process. Contact STAT MED Urgent Care today to learn more about our diagnostic services and how we can help you feel your best. We are open every day to best serve busy families and professionals; stop by one of our fully equipped locations in the East Bay Area Monday through Friday between 8 a.m. and 8 p.m., or on the weekends and holidays between 9 a.m. and 5 p.m. Appointments are not required.